Do you like broccoli? I LOVE, seriously love broccoli. Favorite way to eat it? Steamed, served with a little mayo. I wish more people shared my enthusiasm. If you are in the not-so-sure-about-broccoli camp, or are cooking for someone who needs to eat more vegetables but is less than enthused at the prospect, this is the recipe for you. For these broccoli cheddar bites, we mix chopped steamed broccoli with cheddar, torn bread, onion, eggs and mayo, and bake them in mini muffin tins (or freeform) until toasty brown. They’re perfect for a quick snack, party appetizer, or school lunch. You can easily make a batch or two ahead, and chill or freeze, then reheat in the microwave when ready to serve. Enjoy! 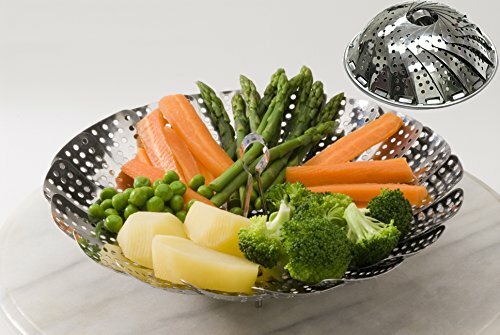 1 Steam and chop the broccoli: Place 1 inch of water in a pot with a steamer basket. Bring to a boil. Add the broccoli florets. Steam the broccoli florets for 5 minutes, until just tender. Rinse with cold water to stop the cooking. Finely chop the steamed broccoli florets. You should have 2 to 2 1/2 cups. 2 Make filling: Place the beaten eggs and the torn bread in a large bowl. Mix until the bread is completely moistened. Add the grated onion, mayonnaise, cheese, lemon zest, salt and pepper. Stir in the minced broccoli. 3 Distribute broccoli mixture in mini muffin pan wells: Preheat oven to 350°F. 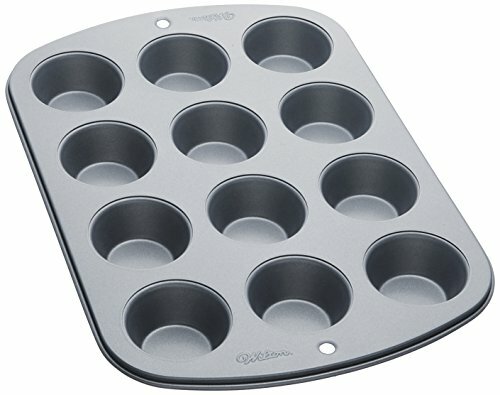 Coat the wells of 2 mini muffin pans (1 dozen wells each) with olive oil (so the bites don't stick). Distribute the broccoli mixture in the muffin wells. 4 Bake: Bake at 350°F for 25 minutes until cooked through and lightly browned on top. If you don't have mini muffin pans, you can cook the bites freeform. Just grease a baking sheet and spoon large dollops of the mixture onto the pan. Baking time is the same. Hello! All photos and content are copyright protected. Please do not use our photos without prior written permission. If you wish to republish this recipe, please rewrite the recipe in your own unique words and link back to Broccoli Cheddar Bites on Simply Recipes. Thank you! Hi. I’d really like to try these but I’m not a fan of mayonnaise. Is there anything I can use as a substitute? Thanks. Hi, Claire. I think you could safely substitute sour cream for mayonnaise here. Hi Katie! That should work! Let us know what you think. I’d go plain with it, though, and full fat. Made these pretty much as directed and really like them. Only thing I did a little different is made bigger, fewer bites so I could eat a couple as a meal… Used a cookie scoop to “freeform” bake them on a cookie sheet with parchment, making 10 total. As one reviewer noted, they do spread a tiny bit like this but who cares! The edges got nice and crispy and the bottoms were perfect. For the bread, I used a homemade almond dinner roll. I don’t think I would want to just completely eliminate the bread. Thanks Kate for sharing your modifications! Good to know the free form approach works. I made it for the first time today as one of my Christmas day snacks. I love them. I will be making more because I don’t think its going to last until Christmas day. I love them! And they’re not just for kids. I snack on these as a nutritious alternative and I have served them at parties. They are always a hit. I’d like to make this with a bread substitute for a friend who’s gluten intolerant. Any suggestions for anything else I can use? Hi, J! What about making it with gluten-free bread? I think that would work great! You might also try gluten-free rolled oats; you’d probably only need about 1/4 cup. Let us know how it turns out! Love this idea! Would be an awesome appetizer for a large Catering Albuquerque party! Easy enough and economically friendly. Thanks for sharing! These are good. Just like broccoli bites minus the torn bread. Going to try it in pastry cups next. Love broc and cheese. Most of my childhood memory includes getting yelled by my mother, and eat Broccoli it’s filled with nutrition but I always ignored. My kids also do not like Broccoli at all. After i went through your recipe I thought to give it a try as the photo looks good thinking might be tasty too so lets try with a small Broccoli. Who knows what the taste will be? My old experience with Broccoli was never good. But as the dish was presented on dining table every one of my family snapped it demanding more but I had only a small Broccoli! Next day I brought more and again prepared this dish on my family’s demand. Interesting, tasty and yummy and experience with Broccoli and your recipe. I thought I should share with you. I made this Keto approved by using 3/4 cup almond flour instead of the bread crumbs. Worked out perfectly!!!! So delicious and moist. Hi Shelley, good to know it works with almond flour! I am weird about cooking egg… how do you know it’s cooked through? It’s sticking together like a patty and golden on top but still creamy inside? We used a frozen broccoli “pouch” from Costco, which is 1 lb. Kept all the other measurements the same and these made 12 nice-sized bites. Delicious and they reheat wonderfully! Lots of comments at work while reheating asking what smells so good! I believe the frozen pouch is 5.5 cups before steaming/chopping. Hello Elise, this recipe sounds fantastic and I am planning to make it for a party. Can I prep this in advance before baking? Please let me know. Hi Marion, I haven’t tried prepping it in advance though it should work fine! I usually just bake ahead and then reheat when needed. That works well. What is the actual measurement for this? Everyone has a different idea of large, not to mention florets are a component of a head of broccoli rather than a bunch. I’d rather not have to make numerous batches to determine the correct ingredient quantity. Thanks. Hi Hannah, it’s a bit hard to measure, but if you play the video that goes with the recipe, it’s pretty easy to see how much broccoli you use. These were delicious!! Will be making them often. Do you have the nutritional facts for this? Hi, Brianna! Emma here, managing editor for Simply Recipes. So glad you liked the recipe! For nutritional info, I recommend inputting the ingredients into a nutritional calculator like this one. These were fabulous but we didn’t get 24 out of the mix :(. I used onion powder instead of the shredded since we don’t like onion chunks but they turned out just fine. I think I’ll use more broccoli next time but this is definitely a keeper!!!!! Do you think these would be good for a make ahead lunch? I like to make things ahead of time, freeze and then let them defrost the night before or in mu lunch box. Would these be okay frozen or refrigerated for a few days? I’ve grown tired of the frozen broccoli nuggets from Whole Foods. Hi Amber, I’ve definitely made these ahead, refrigerated them, and them just warmed them up in the microwave before eating. They’re great! Haven’t tried freezing them. Love your recipes, fabulous pictures, and from the printing point of view, recipes use mostly only 1 sheet of paper. Print out beautifully. Thank you very much. This was good. I would have preferred there be a little more info about how big or small to rip the bread. I used a heel of wheat and it worked fine despite the crust. Hi Mike, if you get a minute, watch the accompanying video, that way you can see the size of the torn bread we use.